On Sundays I’m sharing some of my fave posts from the past. We love having friends and family come to stay, and over the last few years we have developed a few strategies to help things run smoothly. I wrote this post last year to share some of our tips. We have guests come and stay quite often. Barely a month goes by without friends or family coming down for a weekend in the country. We love hosting our friends, and over the last two and a half years, we have worked out few things that makes visits easier to prepare for, and enjoyable for everyone. Make sure you have enough linen and blankets on hand, and in an easily accessible place. 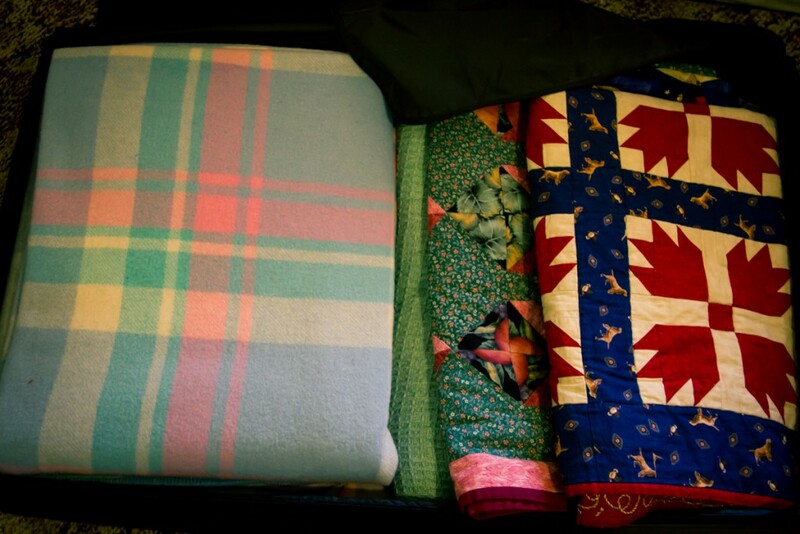 I have a zip up container (Skubb from Ikea) to hold all our spare blankets and quilts ready to make up beds. When we don’t need them, the container slides easily under Toby’s bed. We also have several spare mattresses stored under beds which we can pull out as we need them. If you are fortunate to have a guest room, (all three of our kids share a room) wash the linen and then remake the bed(s) immediately after your guests leave. That way it is ready for whoever visits next, and it is one less thing to do the day before your next guests arrive. If your guests ask what they can bring, suggest they bring their own towels. A few less loads of washing at the end of the stay is always appreciated. We have hooks on the wall of the guest room so that friends have somewhere to hang their towels when they stay. 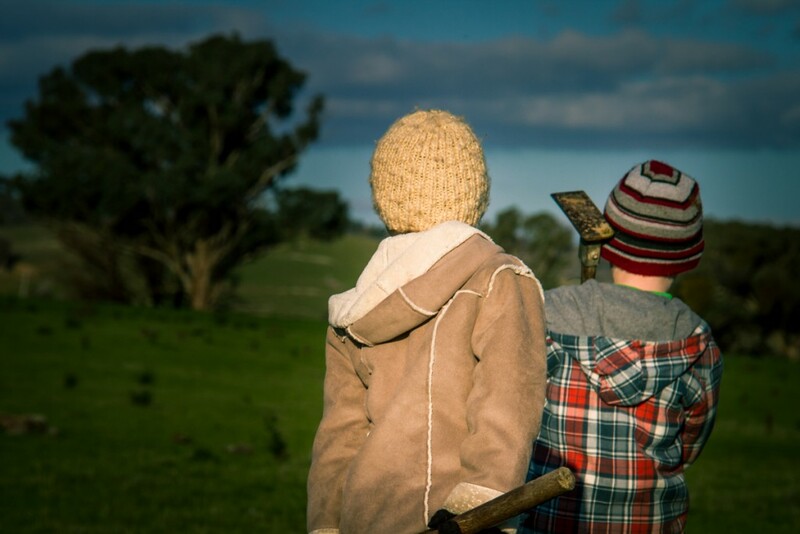 We try to make sure we have a few extra beanies, gloves, and gumboots in winter for guests to use. Because our guests don’t normally live on a farm, they don’t always have the right ‘equipment’ to make life easier. We even have lightweight windproof jackets, which we used in Europe, for our guests to use should they need them. Perhaps if we lived further north and had a pool, spare goggles might be more appropriate. If your guests offer to bring a meal or some snacks with them, accept immediately. No further explanation necessary. When planning meals, we try to think of meals that can easily be prepared in advance. Slow roasted meat and vegetables, pasta bakes, casseroles, home made baked beans, and cranberry lamb shanks, are all foods we serve regularly. Keep the food coming. We try to have “proper” morning and afternoon teas when we have guests. I find that filling the kids up every two hours or so means that they stay happier longer. Happier kids = happier, more relaxed, adults. Often we will whip up a batch of lemonade sconesor pikelets, which I put out with a plate of chopped fruit. Popcorn, homemade biscuits, or even a plate of vegemite toast all fill them up. 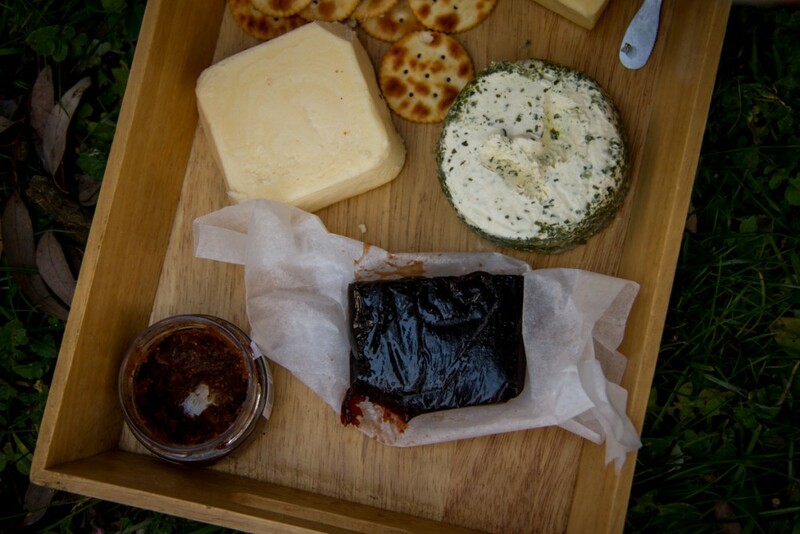 A late afternoon cheese platter while sitting in the sun is always popular too! It is important to have a loose plan of what you might do each day. Often our plan is as simple as a list of different activities we can do. 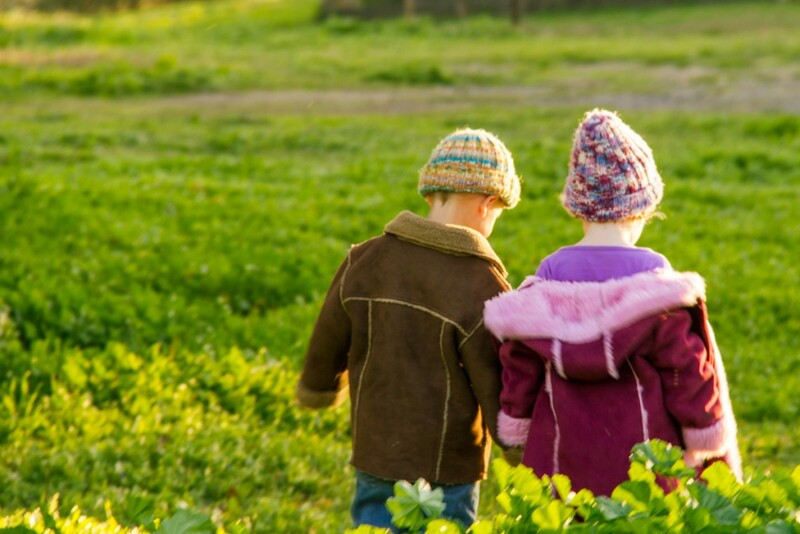 On the farm we have the usual list of activities such as bike riding, going for a tour round the farm on the truck, feeding the animals, canoeing on the dam, and bonfires (in winter). We also try to mix up the type of activities so that there are times when we are active out doors, and others where we are relaxing indoors. Usually a movie or audio book for the kids after lunch (and a snooze for the adults) is on the agenda.Where ever possible make sure that you have enough of each activity so that all the kids can join in. We have spare bikes in the shed (which we picked up for free during council clean ups) so that there are enough for extra kids. If we don’t have one of the right size, we suggest our friends bring one with them if they have room. If you don’t have enough scooters, bikes, pool noodles etc ask your guests to bring them, or borrow some from friends close by. Have back up activities. I always have a few craft or baking activities up my sleeve in case it is freezing or raining (or both). I also check out any events in near by towns such as markets, cafes, or even something at the big town further away. Even when the kids get along fabulously, there will still be differences of opinions (aka arguments) at times. Expecting the kids to get along all the time with no assistance is asking for problems. We often get our kids to put away any of their very precious items before guests arrive so that they don’t become an issue. We also try to make sure that there are times where the adults play with the kids. Sometimes half an our of hide and go seek in our garden (which is fabulous fun for adults too), is all the kids need to reset. Don’t be afraid to call a break. Particularly when the visit is longer, going for a drive gives everyone a break from each other, and helps everyone to feel happier again later. Just because your guests have come to see you doesn’t mean you need to spend every moment together! Do you have house guests often? I’d love to know your tips!